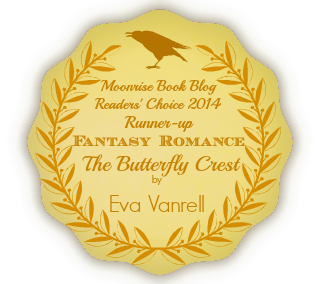 Stop Two in The Butterfly Crest Virtual Book Tour has gone live at the Trials and Tribulations of Writing Fiction blog! A huge thanks to author Katheryn Avila for such a great write up. If you haven’t checked out Stop One at TWE Indie Reviews, you should do so now! *no pressure or anything ;)* Thanks to author Thomas W. Everson for the wonderful review. 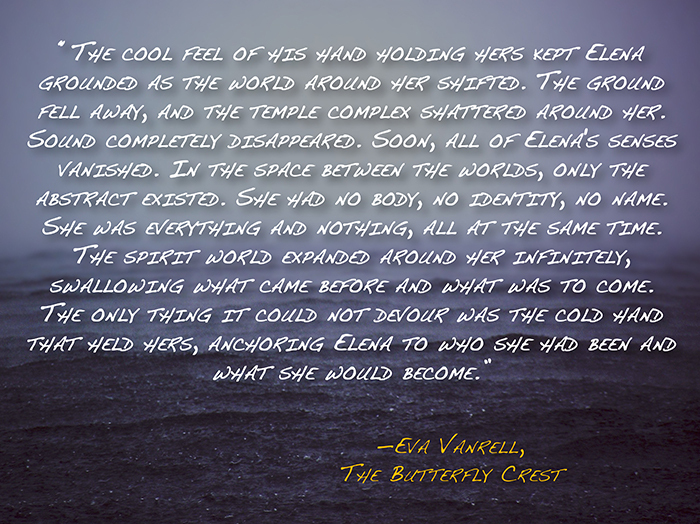 The First Paperback Edition of The Butterfly Crest is officially out today! Just wanted to do a quick update to pass on the link! It is available for purchase on Amazon (or through the Bookshop link on the side-bar menu). If you’re in Europe, it should be available through your regional Amazon links. Congrats to the 3 winners of the Goodreads Giveaway that ended this morning! I will be mailing out your signed First Editions sometime this week! 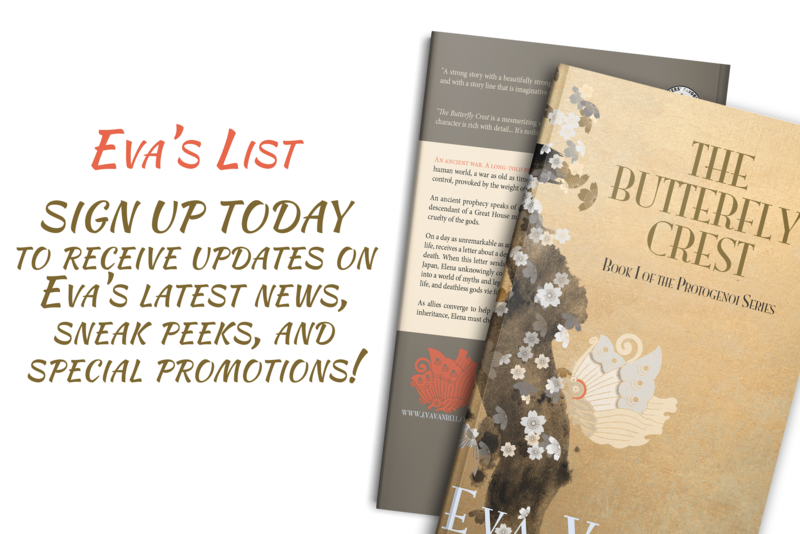 Please stay tuned throughout the week for stops on The Butterfly Crest Virtual Book Tour, which includes it’s own giveaway. You can get the details (and enter to win) here. The image above is one of three teasers I prepared for the tour. Please feel free to take a look at all three in the gallery below!